Mamma is a sucker for architecture. 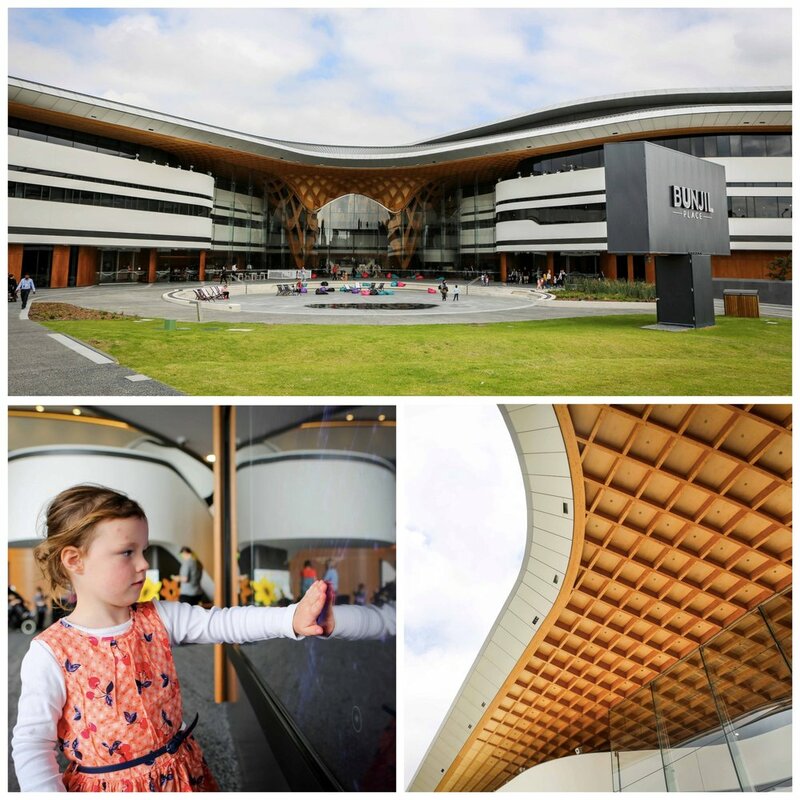 A building designed so beautifully that it makes you go WOW at the shear scale of the place. Walking up to this enormous community hub is no different. 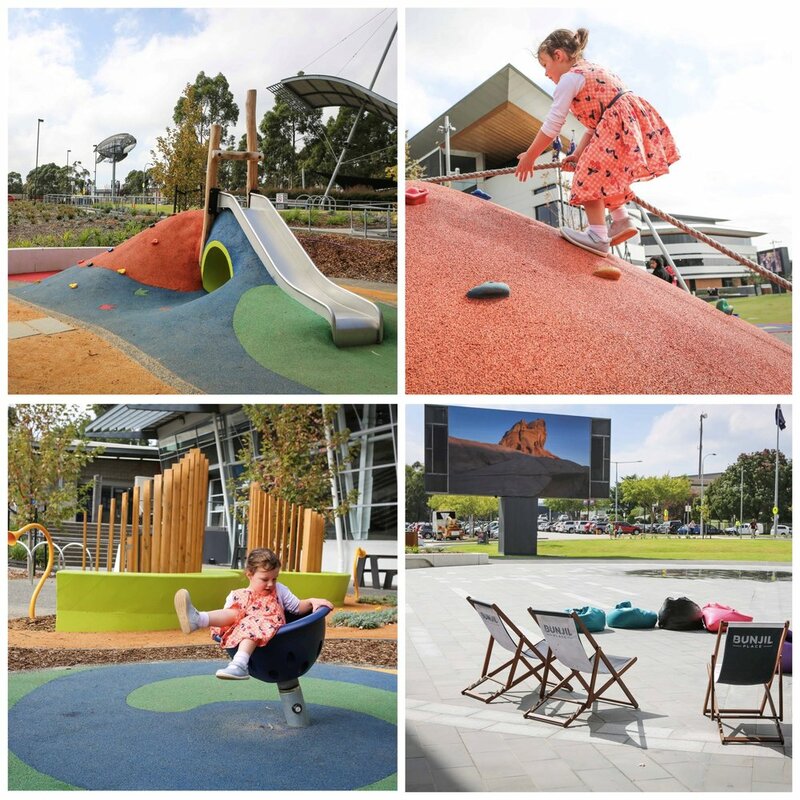 Bunjil Place is inspired not only in name but in also in the shape of the ancient creator - the eagle, Bunjil. This community space brings the local culture together in one place and will be the venue for some incredible events taking advantage of the brilliant facilities. There is a 800 seat theatre, smaller 200 seater performance space studio, a gallery showcasing Australian art, super kid friendly library, huge auditorium, a great cafe and this is just the inside. Step outside to the plaza and there is a huge outdoor screen for movie nights, water fountains just begging to be ran through, stacks of bean bags and deck chairs for lounging and a playground bridging the gap to the Casey RAC. There will be plenty of events here over the coming years and to know exactly what is on - click here for a list of events and programs. Bunjil is THE place to be this summer - Your Summer Playground! With events happening all throughout the season, be sure to check out the full program HERE.